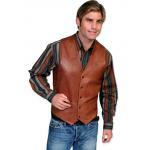 More than just the second layer of a suit, the vest signals the intrinsic fashion sense and finesse of the wearer. 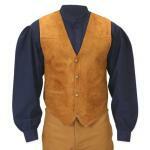 The Vest (or waistcoat) was de rigueur in any gentleman’s wardrobe. 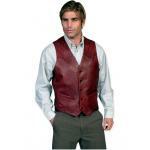 No self-respecting chap would dare be caught without a waistcoat covering his dress shirt; it would be like venturing outside in underwear! 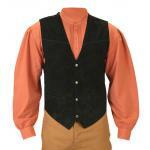 Just as in days gone by, an old fashion vest worn today should be suited to the occasion. 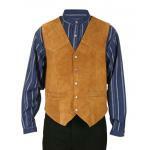 A fancy silk, satin or velvet vest is ideal for more formal affairs such as a wedding, gala, or ball. 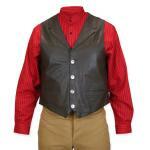 These fancy vests often have an elegant shawl collar with patterns ranging from subtle tone on tone stripes or paisleys to more outlandish combinations to catch the ladies’ eyes. 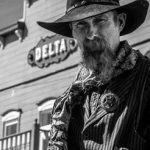 They often have antiqued metal or fabric covered buttons. 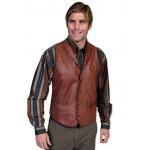 For a professional gentleman a more tightly buttoned old fashioned vest woven from wool in tweed, houndstooth or plaid design will be excellent. 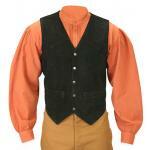 Ideal for both town and country, this men’s vest is equally at home on a fox hunt or in the ivory towers of academia or the local bank. 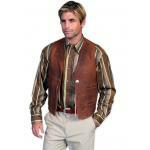 For a working man, a durable vest is required. 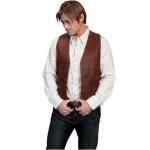 Ours are made of a rugged canvas, heavy cotton or leather and will last for many wearings. 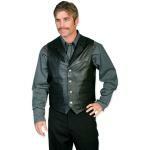 For gentlemen of slim build a double breasted vest with two rows of buttons on the front can add to his stature. 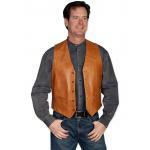 Single breasted vests will be more slimming for most gentlemen. 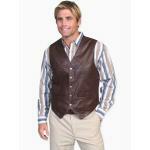 Vests can have notch or shawl collar designs in any of the fabrics to suit your style or need. If you have any questions or need further assistance, please contact us and we will be happy to assist you.